Frame selection at TSO Champions is ranked among the best in terms of quality, durability, and functionality. The optical feature over 25 different lines including some of exclusive ones such as, Theo from Belgium, Lafont from France, and Etnia from Barcelona. 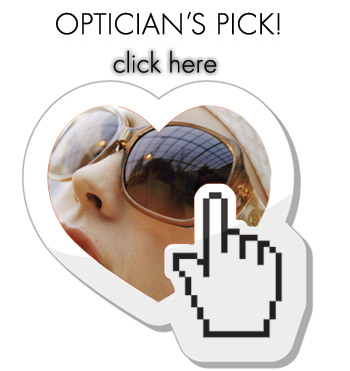 The opticians and frame stylists take their time to explain how different lenses and frames will impact your vision, and help narrow down your choices so you can find the look, fit, and functionality you want from your eyewear. In addition to guided frame selection, TSO Champions offers patients Visioffice technology to create personalized lenses. This state-of-the-art 3D measuring system takes into consideration a patient’s natural head and eye movement so that our staff can find the best fit for your specific needs. 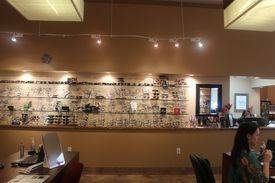 Making a decision about your eyewear, eye care services and eye health, goes beyond good vision and makes a statement about who you are. Your decision affects how you see and also how you want to be seen by others. 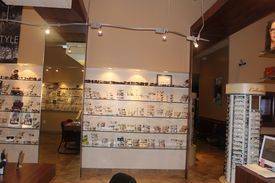 But with so many different styles of eyeglasses or contact lenses to choose from, getting the right look for your face and your lifestyle can be overwhelming. 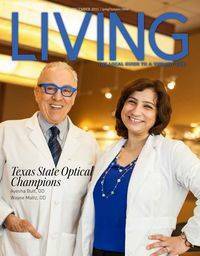 We carry a large variety of top designer frames for both eyeglasses and sunglasses at our eye clinic near Champions, Texas, Champion Forest and Spring, Texas. Eye glasses are more popular today than ever, despite the availability of contact lenses and vision correction surgery. 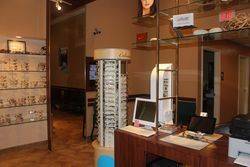 Customize your eye wear based on your needs!